Gas and flatulence, herbal cure gas flatulence, gas cure herbs No one under the sun is exempt from flatulence. Every person at some time or another gets gases and disturbances in the colon. We are all vulnerable to this condition for several reasons. First, the colon is the main seat of vata dosha, the dosha that is derived from ether and air. If vata increases in the colon, due to eating vata-aggravating foods, cold weather, anxiety, insomnia, and other factors, gases may build up. Also, whenever we eat anything, we swallow a small amount of air, which increases vata. And any food we eat undergoes slight fermentation, which produces gases. These gases, in the segmental colon, create flatulence, distension, and discomfort. Agnitundi Vati : 2 tablets twice daily, with plain water after meals. Maha Shankh Vati: 2 tablets twice daily, with plain water after meals. Vara Churna: 1 teaspoon twice daily. Here are some effective home remedies to control flatulence. Grate some fresh ginger root until you have about 1 teaspoon of pulp, and add 1 teaspoon of lime juice. Take this mixture immediately after eating. Prepare a mixture of roasted cumin, fennel, and ajwan seeds (Indian celery seed) in equal proportions. After each meal, take about 1/2 to 1 teaspoon of this mixture, chews well, and swallows with about 1/3 cup warm water. Another simple remedy is charcoal tablets, which you can buy in most health food stores. Swallow two tablets after lunch and dinner. The charcoal absorbs gases and helps to prevent flatulence. 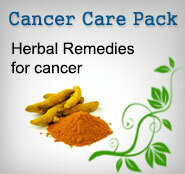 Ayurveda also suggests the herbs shankavati and lasunadivati. These herbs are useful for an aching stomach and are helpful to reduce flatulence. Take 1 tablet (available from most sources of Ayurvedic herbs) at night for 5 days. Flatulence is mostly a vata condition, so following a vata-pacifying diet can help prevent it. 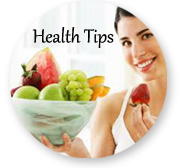 Avoid raw foods, cold food and drinks, and most beans. Fermented foods also increase gases in the colon, so it's best to avoid them. Finally, it is helpful to take the herbal compound triphala. At night before going to bed, steep 1/2 to 1 teaspoon triphala in a cup of boiling hot water for 5 to 10 minutes, then drink it.